We have received £9,949 from the Big Lottery Fund’s Awards for All grant. 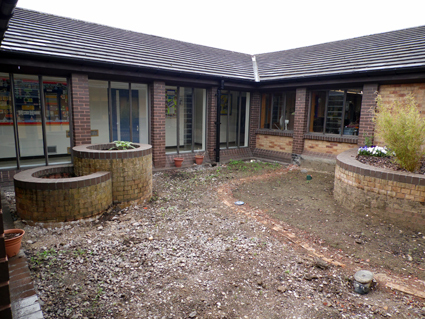 We’d like to say a big THANK YOU to everyone who has been involved – our Sensory Garden is going to be amazing! 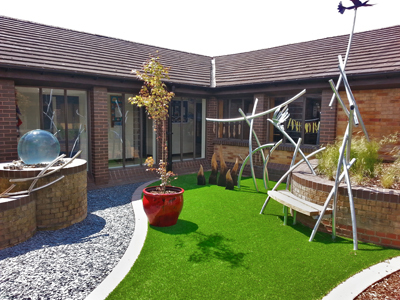 At last our wonderful Sensory Garden is ready! The Grand Opening took place on Monday 9th June. Our Special Teaching and Learning Assistant Jo Cook officially opened the Sensory Garden, with a little help from pupils Charlie (7), Reece (7) and Max (6). In the finished garden, Richard Janes has created sculptures that represent earth, air, fire and water. 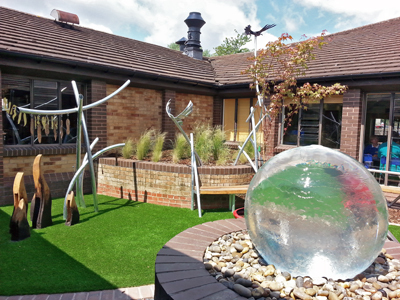 There are two large metal sculptures featuring pupils’ artwork, an earth seat, an air seat, a wooden fire sculpture and a water feature; a large aqua globe and pool with glass pebbles. 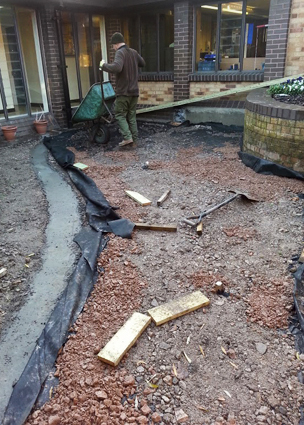 There is also an artificial lawned area, a gravelled area, a large potted acer tree and raised brick planting beds with grasses. The pupils have already started using the garden. It gives them a safe place to explore and encourages their sensory development. It will aid their communication skills and encourage social interaction through play and exploration. The finished garden. What a transformation!